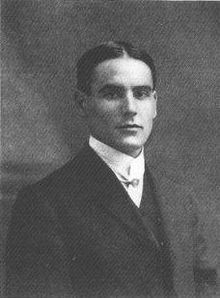 William Hope Hodgson (1877-1918) was one of the most interesting and original of pre-War writers of fantasy and horror. He wrote a number of short stories, but is best known for three novels, whose full titles I give here (because they give some idea of their tone): The Boats of the “Glen Carrig”. Being an Account of their Adventures in the Strange Places of the Earth, After the Foundering of the Good Ship GLEN CARRIG through Striking upon a Hidden Rock in the Unknown Seas to the Southward. As Told by John Winterstraw, Gent., to his Son James Winterstraw, in the year 1657, and by Him Committeed Very Properly and Legibly to Manuscript (London: Chapman and Hall, 1907); The House on the Borderland. From the Manuscript, discovered in 1877 by Messrs Tonnison and Berreggnog, in the Ruins that Lie to the South of the Village of Kreighten, in the West of Ireland. Set Out Here with Notes (London: Chapman and Hall, 1908); and The Night Land: A Love Tale (London: Eveleigh Nash, 1912). This last is “the finest fantasy novel ever written” according to Robert Weinberg, and “one of the worst books ever published” according to the SF scholar Brian Stableford (both quoted in Bell, 37). Anyone who has read it will see the justice of both these comments. For some details of his extraordinary output, see the Encyclopedia of Fantasy. On the 28th March, 1898, a man accidentally fell overboard from his ship in the harbour at Port Chalmers, New Zealand, the distance from shore 600 yards 25 to 30 feet deep, and the water infested with sharks. W.H. Hodgson, ship’s apprentice, jumped after him, and kept him afloat for 25 minutes, when they were picked up by a boat half a mile from the ship (quoted Bell, 1). In 1899 he settled in Blackburn, and in the following year opened up a School of Physical Culture. He was a small man, and had been bullied at sea, and he had already done much to build up his muscles. There are photographs of himself demonstrating physical exercises in an article, “Health from Scientific Exercise”, which he wrote for Cassell’s Magazine in October 1903 (reprinted in Frank). In 1902 he got a lot of publicity for riding a bicycle down a very steep hill in Blackburn; and for his challenge to Harry Houdini, whom he bound so brutally that the great escapologist found it very difficult to get free. But his fitness school did not prosper. In around 1903/4 he decided to be a writer. He published his first story in 1904, the year in which he settled, with his family, in Borth in North Wales. He published the two books listed in the first paragraph in 1907 and 1908, and published his first “Carnacki the Ghost Finder” story in The Idler in 1910 (probably inspired by Algernon Blackwood’s occult detective John Silence). He wrote about his experiences at sea, and not only in his fiction: he wrote an article attacking the system of apprenticeship in the Merchant Navy. He wrote numerous stories of horror and fantasy in maritime settings, and in 1909 published The Ghost Pirates which H.P. Lovecraft said was “a powerful account of a doomed and haunted ship on its last voyage, and of the terrible sea-devils (of quasi-human aspect, and perhaps the spirits of bygone buccaneers) that besiege it and finally drag it down to an unknown fate. With its command of maritime knowledge, and its clever selection of hints and incidents suggestive of latent horrors in nature, this book at times reaches enviable peaks of power” (quoted in the Wikipedia article on the book). In 1911 Hodgson moved to London, better to pursue his writing career. He married Bessie Farnworth in London in 1913, and honeymooned in the South of France, ending up deciding to live in Sanary-sur-Mer in Provence. They both returned to England at the outbreak of war in 1914; his wife went to Borth, and he stayed in London, intending to enlist immediately. For further details, see War Experiences. See Ian Bell, ed., William Hope Hodgson: Voyages and Visions (Oxford: I. Bell and Sons, 1987). Numerous short pieces are published in Jane Frank, ed. The Wandering Soul: Glimpses of a Life. A Compendium of Rare and Unpublished Works by William Hope Hodgson (Hornsea, E. Yorks and Leyburn, N. Yorks: PS Publishing and Tartarus, 2005). The Oxford Dictionary of National Biography entry is written by the science fiction and fantasy scholar Brian Stableford. Good to meet you at LonCon last year. This is a wonderful website. You might like to note, however, that William Hope Hodgson’s 1909 book is entitled “The Ghost Pirates”, and not “The Ghost Ships” as you state. (http://en.wikipedia.org/wiki/The_Ghost_Pirates) Best wishes, Nigel. Thanks for your comment and correction: I have made the change to the Hodgson page. And I am glad you think it is a wonderful website: you still have two or three days in which you could nominate it is for a Hugo in the “Best Related” category!